Here you see Charizma in action. He's a complete douche. Unfortunately a very rich and charismatic douche. He's the other end of the moral spectrum to Force-Ar. He's the extreme end of the modern example of the HOTWAB celebrity hero. His efforts appear to be for the benefit of the good of society, however his motivations are purely out of self interest. Does that make him a 'hero'? 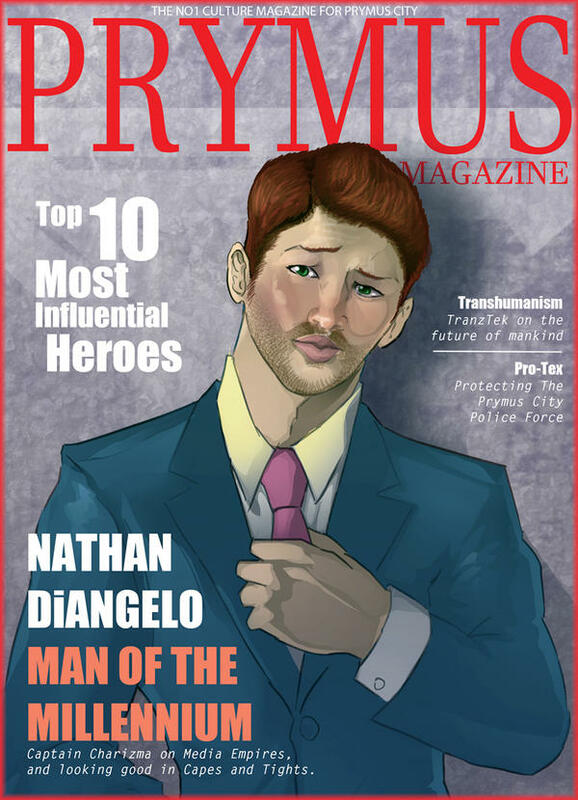 DiAngelo is first and foremost a business entrepreneur and has already made his name chairing his fathers media company and doing publicity for superheroes is just a new aspect of his already established empire. He's already famous and a prominent public figure in Prymus and on an international level. Some of this makes me thing of the anime TigerBunny.